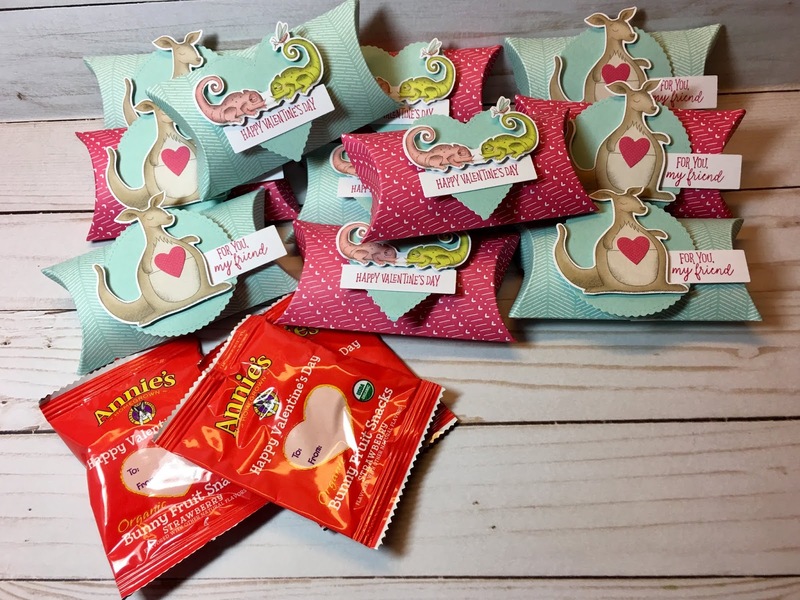 How about a $20 crafting kit sent to your door each month! Subscribe by February 10th to get the February kit. It's usually a surprise every month, but we have gotten several sneak peeks, and hints about this month's kit. Inspired by succulents, it will be an all card kit with enough supplies to make 9 cards in three different designs. (3 each of 3 colors). Coordinating colors are: Basic Black, Lemon Lime Twist, Fresh Fig, and Mint Macaron. 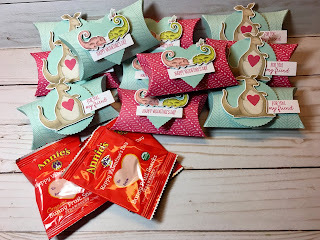 Our January kit contained enough supplies to make 24 Valentine Pillow Box treats. I made mine a little more simple since they will be going to my Granddaughter's pre-school class. They are going to love them! Read more about Paper Pumpkin HERE. Don't miss out on another month of this fabulous creative escape! Subscribe HERE.